Sometimes, I get so caught up in finding the newest and greatest restaurants, I forget to go back to the well. Furthermore, when we meet up with Costanza and family for eats, we tend to think too much and end up eating far away. Maybe we should just take a minute and stop ignoring all the great places to eat nearby. 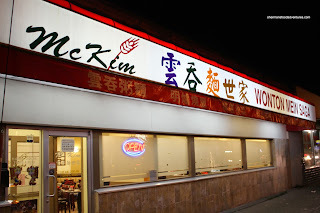 That would be true for McKim Wonton Mein Saga out on Kingsway near Earles. Every time we visit Costanza, we pass by the place, only to disregard its very existence. Well, this time around we decided to eat there. Not sure why Costanza drove to the place as it was only a block and half walk from his place... Did it give the impression of going somewhere far away? Anyways, we decided to do the "make your own meal" and selected a few dishes to share. 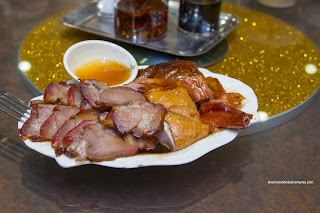 The first to arrive (other than the daily soup) was the complimentary BBQ Plate that included BBQ pork and BBQ duck. A touch firm, the BBQ pork was well-marinated but could've benefited from some more sweetness. Despite looking rather pale, the BBQ duck was succulent and tender. It could've used more marinade though. 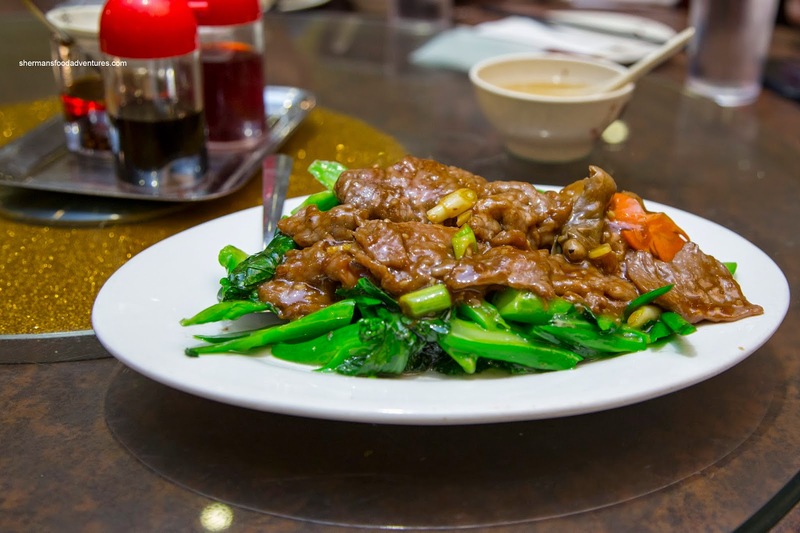 Next up was the Gai Lan with Beef which should've been called stir-fried beef with a bit of gai lan. The ample amount of beef was properly tenderized where it was soft to the bite. It was aggressively seasoned though being salty. The cut-up pieces of gai lan were crunchy and manageable to eat. 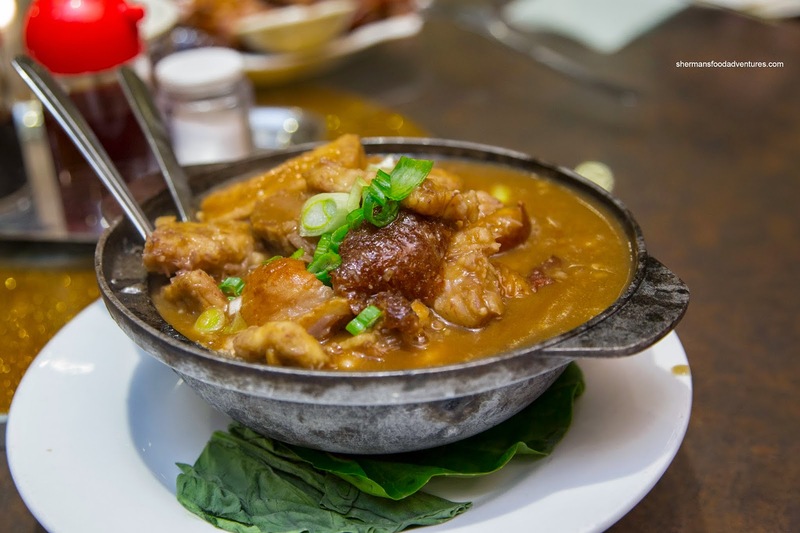 Onto our next 2 items, we had the Duck and Taro Root Hot Pot as well as the Fish and Eggplant Hot Pot. With melting chunks of taro root, the hot pot was thick and aromatic. As a result, the taro root slices were extremely soft and practically required no chewing. The pieces of duck were pretty fatty with only a minimal amount of meat. 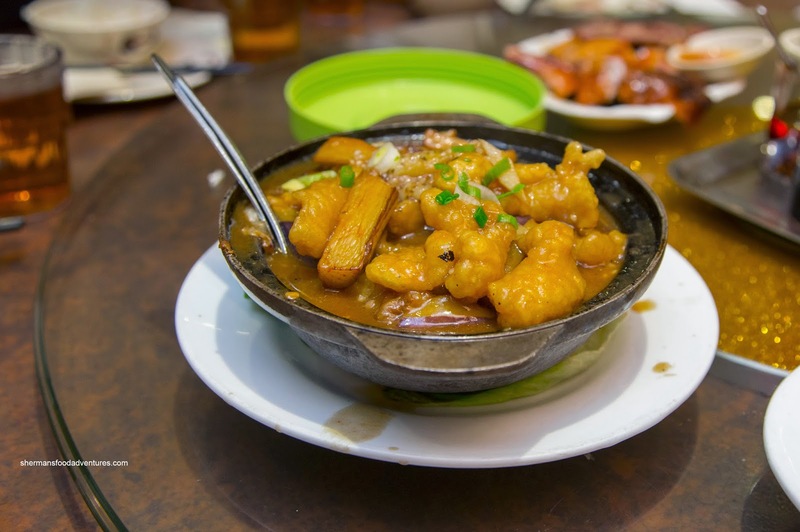 With the right amount of soy and sugar, the dish was well-balanced. Where the aforementioned dish lacked in protein, the latter was packed with crunchy fish filets. In fact, they could've used less deep-frying as the texture of the fish was a bit too firm. On the other hand, the oil-blanched eggplant was tender and well-seasoned. 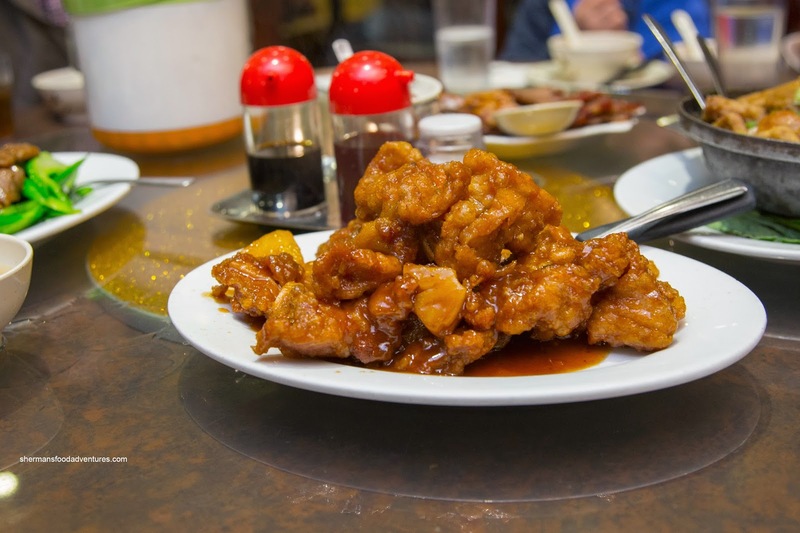 Arriving in curled up portions, the Peking Pork Chops were both good and bad on a plate. Some of the thinner parts were crispy while a bit chewy. 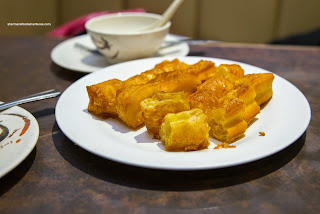 The bunched up parts were moist, yet not completely fried. Therefore, the textures were inconsistent. In terms of the sauce, there was just enough of it. More sweet than tangy, it could've used more balance. 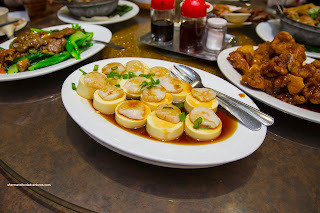 Our last dish was the Steamed Scallops on Silken Tofu. This was a fairly simple and straightforward dish that featured slices of silky tofu topped with super thin pieces of scallop. As a result, the scallop was a touch overdone where it lacked impact. Not a bad dish in general, but not particularly memorable either. Dinner plates aside, the real draw of McKim (in my opinion) are the more casual items including the Wonton Noodles. 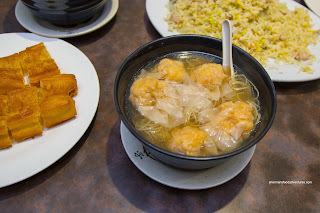 Viv and I returned for a much simpler meal and although the wontons would not be considered the best in town, they certainly held their own. Consisting of shrimp, the wontons were fair-sized exhibiting a nice sweet snap with a noticeable sesame oil hit. The toothsome noodles were bathed in a mildly-sweet broth that could've used a bit more salt. Completing the ying with the yang, we had the Minced Beef Congee as well. Lightly thick with an inadequate amount of minced beef, the congee wasn't nearly as good as the wonton noodles. With that being said, it was still decent being not overly reliant on MSG. To go with the congee, we got a side of the Salty Donut. Unfortunately, it was of the re-fried variety which rendered it overly crunchy and greasy. The small form factor didn't help matters either. 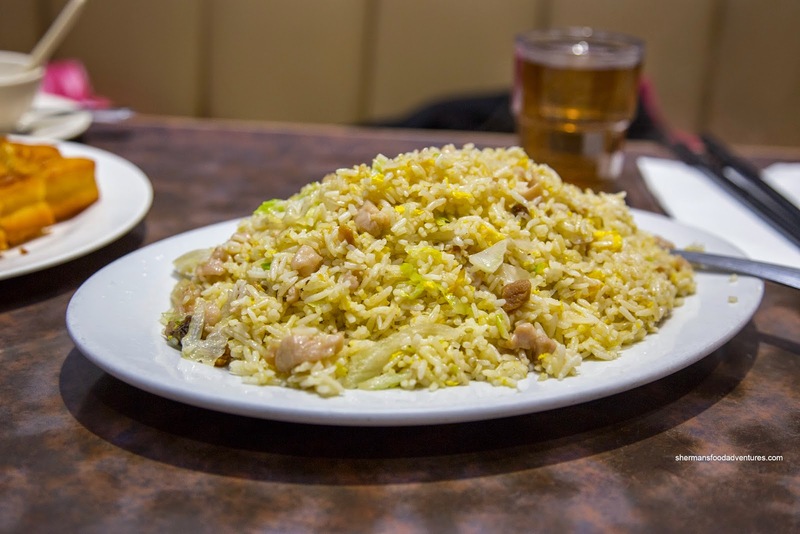 Lastly, we got the Salted Fish & Chicken Fried Rice. This was a pretty large portion of rice that was slightly on the softer side. It did benefit from good wok heat, but the moisture content of the rice was too high. 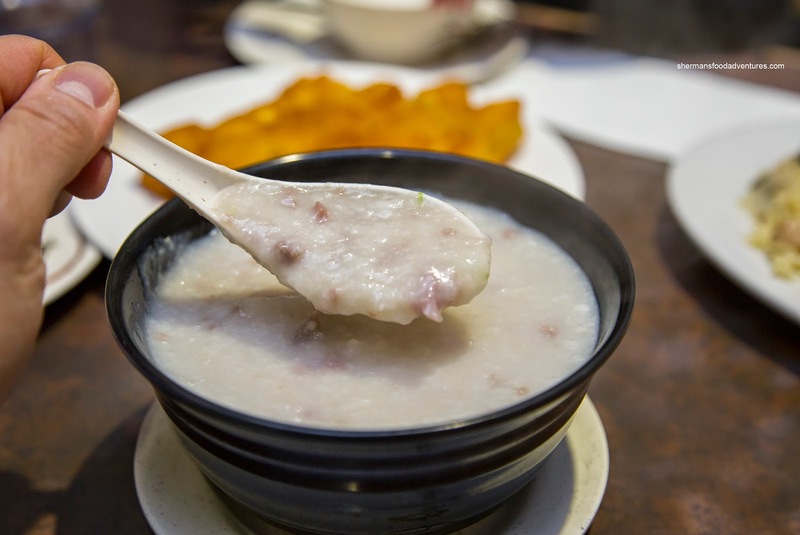 Although there was plenty of firm salted fish pieces, the entire dish itself was not salty enough. After these 2 re-visits, we feel that McKim still dishes up serviceable food for a decent price. However, portion size can be inconsistent as well as the service. Never been to the Kingsway location, but my experience at the Richmond location (Garden City) was meh, but that was only lunch. That complimentary BBQ plate looks generous ! Is it part of a set meal ? Are they heavy-handed with MSG, because my meal at their Richmond location seemed to be. Thanks.